If Friday 29th March doesn’t mean anything to you, I envy whatever rock you’ve been hiding under. As the proposed Brexit day looms (at the time of print, anyway), the good folks at B&D Studios have been beavering away to unveil their own new vision of the future, and it’s looking a darn sight more attractive. The independent studio located in Newcastle’s arty hub, Commercial Union House, have refurbed their studio space in anticipation of a fun-filled year ahead, and they welcome artist and printmaker Johnnyx to debut his first solo show, entitled Please Stand By, at the gallery from Friday 29th March until Friday 19th April. The experimental artist’s work is typified by cultural and political themes with references to pop culture and advertising, and his work contains an uncomfortably recognisable edge, particular in these turbulent times. 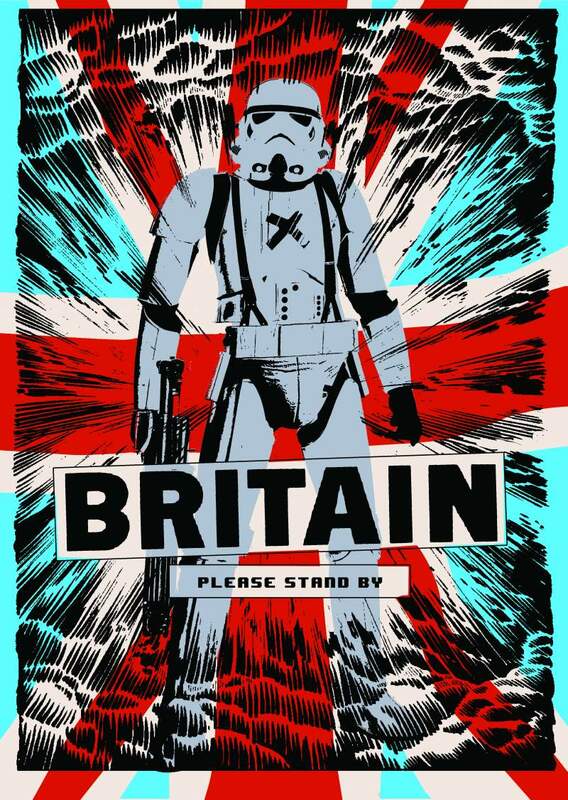 Please Stand By reflects Johnnyx’s thoughts on the UK over the past year, and our future post-Brexit. “I extracted themes from news stories old and new, and re-purposed imagery from advertising and promotions past and present in order to create an information aesthetic, turning a deconstructional, sometimes subversive lens on cultural themes surrounding leaving the EU. I have tried to create pleasing images, some overtly political and some with deliberately obfuscated messages, finding in the process that even looking back through the 20th Century, nothing changes.” A print auction of the artist’s work will take place on the opening night, with proceeds going to the Indonesian tsunami disaster fund.